A key, very reserved figure in the world of Italian photography, Mario Carrieri gathers the results of years of work in the cycle of images in this exhibition. 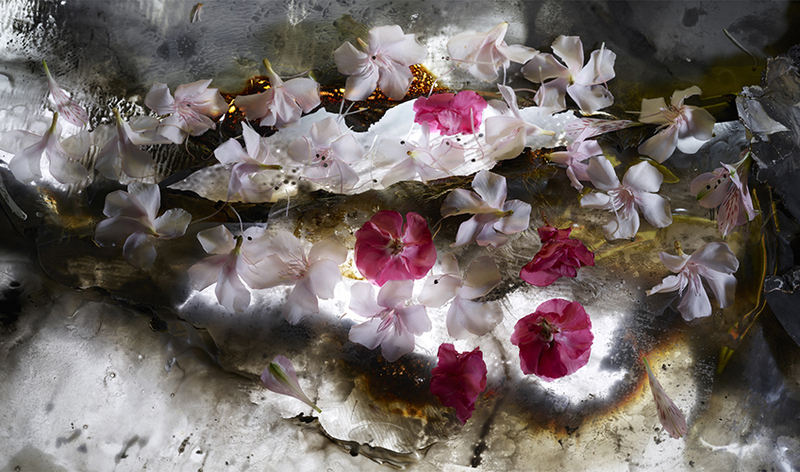 In his solitary photographic research on “Flowers and Visions,” in what might be erroneously described as “still lifes,” he sets out to interpret the tragic character of human existence, presenting on his own imaginary visual stage a “Whole” that is dramatically visionary and pantheistic, almost theatrical, as if suspended on the thread of a light so remote as to seem to be frozen outside of time. In his photographs, the actors in this drama are in fact simply flowers and their infinite, perishable beauty. Flowers and beauty that flow in the delirious river of a universal nothingness, shattered by their own suffering. The exhibition includes very large works shown in public for the first time, in a big space of the Milan Triennale, offering viewers a key of interpretation of extreme technical prowess and intensity.